We take great pride in what we do and in the talented people who work with us. Dubai-based Empire Aviation Group, one of the Middle East’s leading private aviation companies, and the Taj Group, one of Asia’s largest luxury hotel groups, have extended their partnership agreement to cover new Taj hotels that are to be featured in Empire Aviation Group’s Lifestyle@Empire luxury hotel collection. Both companies have a special emphasis on India; Empire Aviation Group recently launched its first overseas branch in India (Bangalore) and already has aircraft under management; Taj is also expanding its portfolio across all its brands in India, and currently has 110 hotels in 64 locations across the country and an additional 17 international hotels. The two companies signed the original partnership agreement in 2011, and will continue offering luxury travel services to their respective clients on a mutually preferential basis. Lifestyle@Empire provides private jet charter customers with tailor-made travel solutions to create their holiday or business packages that can be combined with their jet travel. The Taj Group owns and manages some of the world’s most exclusive properties in India, the Maldives and South Africa, including idyllic beach resorts and authentic Grand Palaces, each of which offers warm Indian hospitality, world-class service and modern luxury. Empire Aviation Group, which operates one of the regions largest managed fleets of private jets and is a major private jet charter operator, offers a range of jet options for couples, families and larger groups. Most of the Taj destinations can be reached directly and comfortably, through a range of private jet options and using the private jet terminals at destination airports, where available. 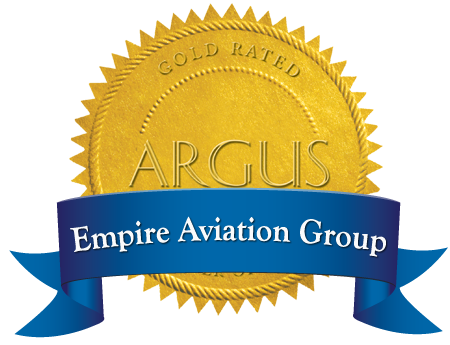 Empire Aviation Group expands aircraft management operations. Empire Aviation Group teams up with Booking.com to offer luxury hotel reservations worldwide. Buying an aircraft is a serious investment commitment and a buyer should have the right to the best specialist advice. We manage a client's aircraft and the operation with the outmost care and professionalism. All aircraft operated by Empire Aviation Group meet extensive safety, training, and inspection requirements as required by the GCAA. © 2019 Empire Aviation Group. All Rights Reserved.